Srinagar: Chairman Hurriyat Conference (G) Syed Ali Geelani has expressed serious concern and anguish over the killing of a 15-year-old boy Suhail Ahmad Wani in Drugmulla, Kupwara and injury to dozens of students in Kakapora, Pulwama due to mysterious blasts, terming it a “well thought conspiracy”. 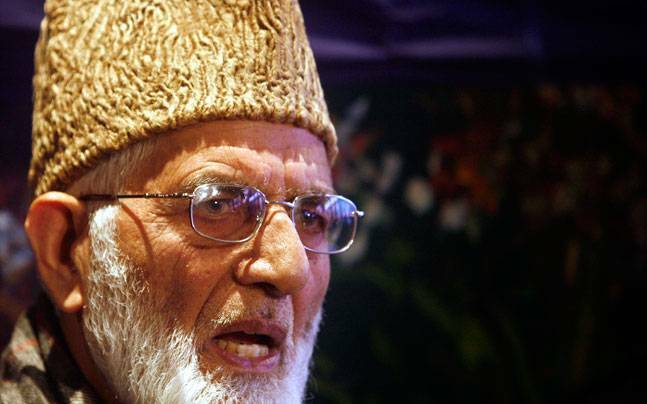 “We are shocked over the death of a budding kid,” Geelani said in a statement and prayed for the grieved family to bear this irreparable loss. He also prayed for a speedy recovery to those injured.